Looks like slow and steady wil win the race – I’m only 1 pound behind Brian now! Boy, should have eaten more for dinner last night. I had my midwife appointment yesterday and everything is checking out well. The little mover was a lot more cooperative for the heartbeat check but its squirming always makes the midwife laugh when she tries to check its positioning. I can tell that the baby is getting bigger the little hard spot near my belly button has grown. I’ve learned that the hard spot is the baby’s bottom and I can take it and wiggle it, making the rest of the body move – of course the baby can retaliate by putting pressure on my bladder…. 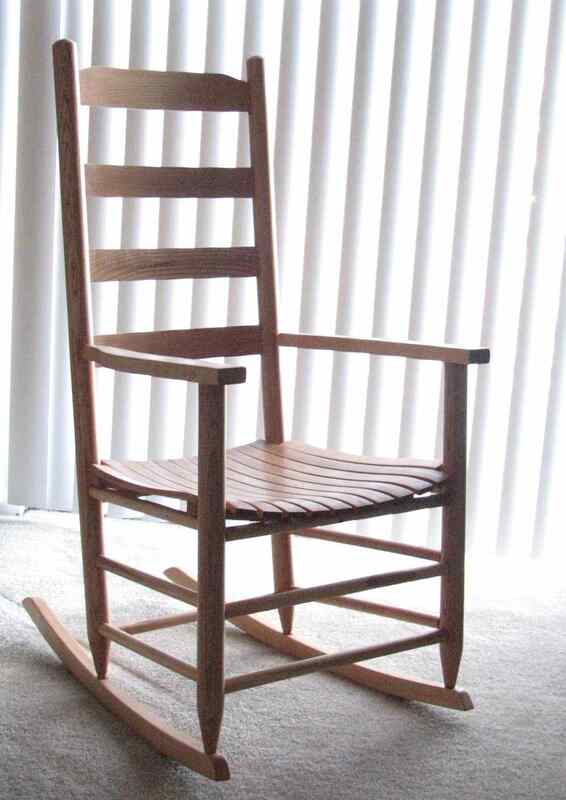 I finished up the rocking chair on Saturday – the weather was perfect! I put several coats of varnish on and now it sits, ready for use. I’m looking at making a pillow for the seat out of the leftover quilt material. I have yet to decide if I’ll do a quilt block or just a plain cushion. I’m also trying to decide which book I’d like to read during my recovery after the birth – Ben-Hur or Les Miserables; any votes or recommendations? And finally, Brian wanted me to put this picture up. I was making little pizzas and when I took the pan out of the oven one of the pizzas left sauce on my belly and I didn’t even notice! When called to eat, Brian dutifully informed me of my condition (not without some laughter). 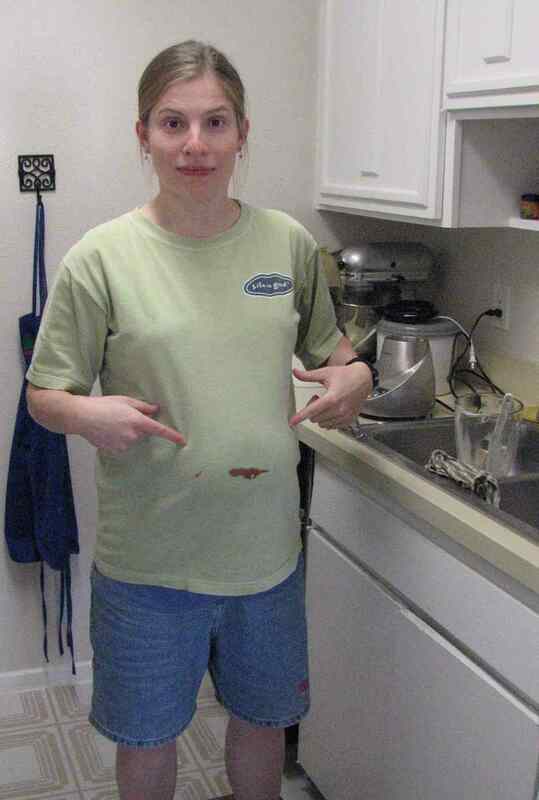 This belly gets itself into all kinds of messes now – guess I should put on an apron every time I enter the kitchen! Laura said, Les Miserables was a great book but there were parts you can just skim over because descriptions are long and boring. She loved the book though.